Credo is proud to sponsor and attend the ABHE Annual Meeting. 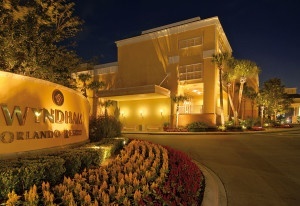 This year's event will be held at the Wyndham Orlando Resort. Tim Fuller, Senior Vice President / Owner will be presenting, and also in attendance will be Dave Burke, Associate Vice President for Leadership Strategies. Be sure to join us Tuesday evening for the Leadership Dinner, and let Tim and Dave know you read about this event on our webpage! "In the 1990s, the Japanese concept of dochakuka was popularized through Harvard sociologist Roland Robertson’s coining of the term glocalization. Twenty-five years later, glocal occupies an established place in our cultural lexicon. It is neither possible nor profitable that our connected world becomes a homogenized world. The more our cultures are invaded, the more tribalized we become. What does glocalization mean for the church near and far, present and future? Plenary speakers Ramesh Richard and Leonard Sweet are uniquely gifted and positioned to help us engage such questions. In addition to these rich and thought-provoking plenary addresses, participants can choose from dozens of workshops and interact with dozens of service and resource partners. Join hundreds of your colleagues—new friends and old—as we gather once again to reflect upon and renew our Spirit-enlightened and Spirit-energized commitment to Bible engagement and Bible-centered leader development for our glocalized reality. Brian Doerksen will be leading us in worship. Brian is in his 3rd year as Director of Prairie College’s Music & Worship Arts Program and writer of songs, Come, Now is the Time to Worship, Refiner’s Fire and Scars On His Hands."